Galilee Dreamers (formerly known as Sparks of Change) brings together select groups of Jewish and Arab high school students, teachers, and teachers-in-training from Israel to travel together to communities around the world. 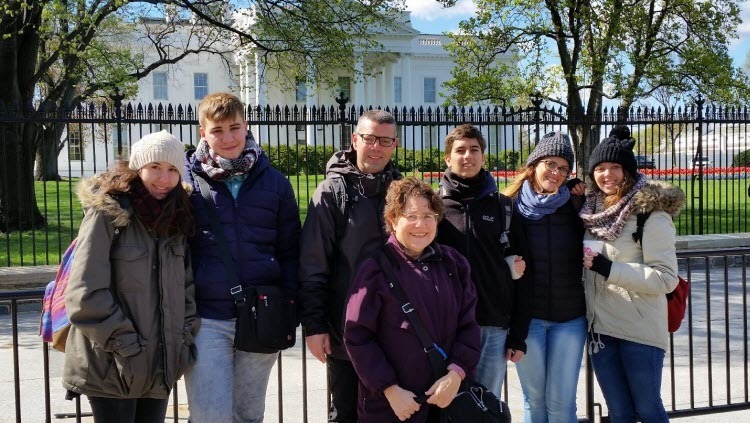 In each community, the groups participate in a transformative program including encounters with local high school students (Jewish and non-Jewish), home hospitality, and touring. The program aims to promote coexistence among the Israeli participants and to enable high school students worldwide to learn about the complexity and potential of life in Israel. Delegations include neighboring high schools in the Galilee region. Although the two high schools are geographically close, the participants have often never met students from the other school before. Before the delegation, the Arab participants have had minimal to no contact with Jews, and so too the Jews with the Arabs. During the trip, the delegations participate in intensive encounters with students from Jewish and non-Jewish schools abroad. The Israelis enjoy home hospitality and spend time at the schools. They engage in dialogue with the local students about what it is like to live in Israel as a teenager, and what their experiences are of the Jewish-Arab conflict. Participants plan on bringing these insights back to their communities and acting on them. One participant wrote, “I want to start with my friends and try to get them to see what I see now and who knows maybe it’ll lead to a bigger group of people seeing coexistence as an important thing as I do.” Teachers who participated wrote about sharing their insights from the project with their students, and their commitment to working on similar projects in the future that bring together Jewish and Arab high school students. This program was founded in 2016 in partnership with the Sparks of Change Foundation, which honors the life of Daniel Joseph Siegel by supporting programs that are involved in changing communities and creating a better world. The program (then known as Sparks of Change) began with one delegation visiting two communities in the United States in 2016. Since then, the program has rapidly expanded to include multiple communities in the United States, Canada, and South Africa. We look forward to the program’s continued growth. Galilee Dreamers has the potential to increase dramatically the level of understanding, respect, and collaboration between Jewish and Arab communities in the Galilee, while sharing the message of hope, tolerance, and respect for diversity with young people around the world.